In a go go go society that prioritizes hustle, it can be hard to even imagine the option of slowing down and taking anything easy. Even though it’s not glamorized, slowing down can be an essential season in our lives. 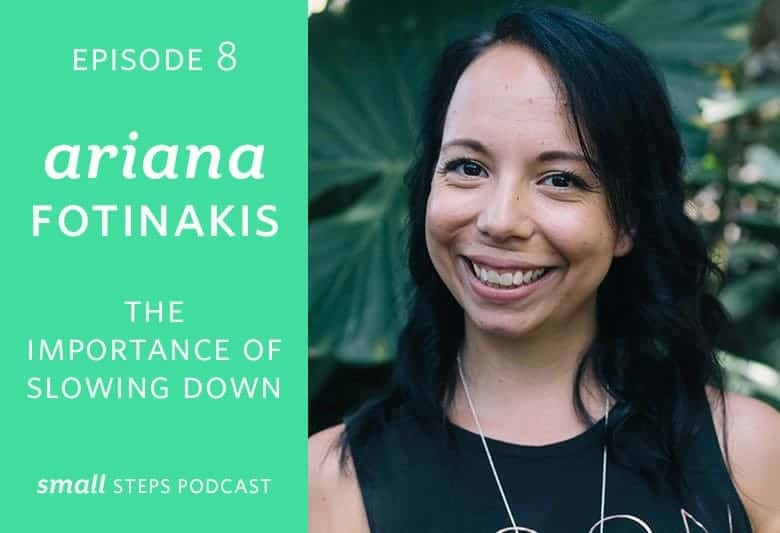 Ariana Fotinakis talks about her recent season of slowing down, how she did it, and why it’s important to. Ariana Fotinakis is an intuitive coach, writer, and avid lover of fitness. After struggling with addiction for over 10 years, she turned her life around by first focusing on her health, and then by focusing on serving others. She now works with women in a variety of capacities from fitness to business, helping them strengthen their connections to their inner guidance systems so they can confidently take action towards big scary goals. Do a time and energy audit. After the audit, look at what you’re doing and adjust as needed. Ask why you get caught up in the busyness of life. Who are you without all of the other stuff/title?